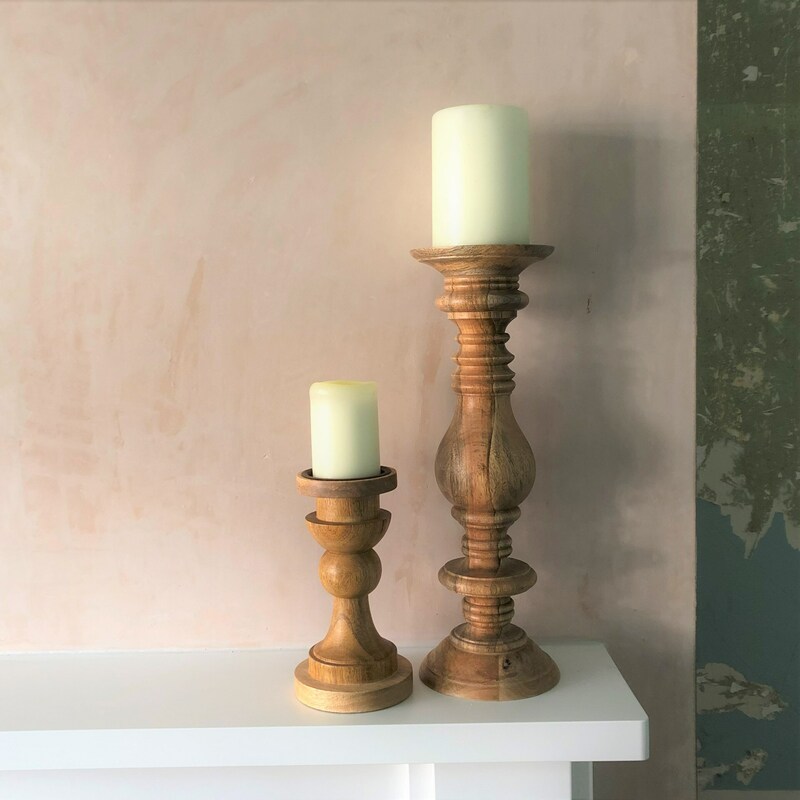 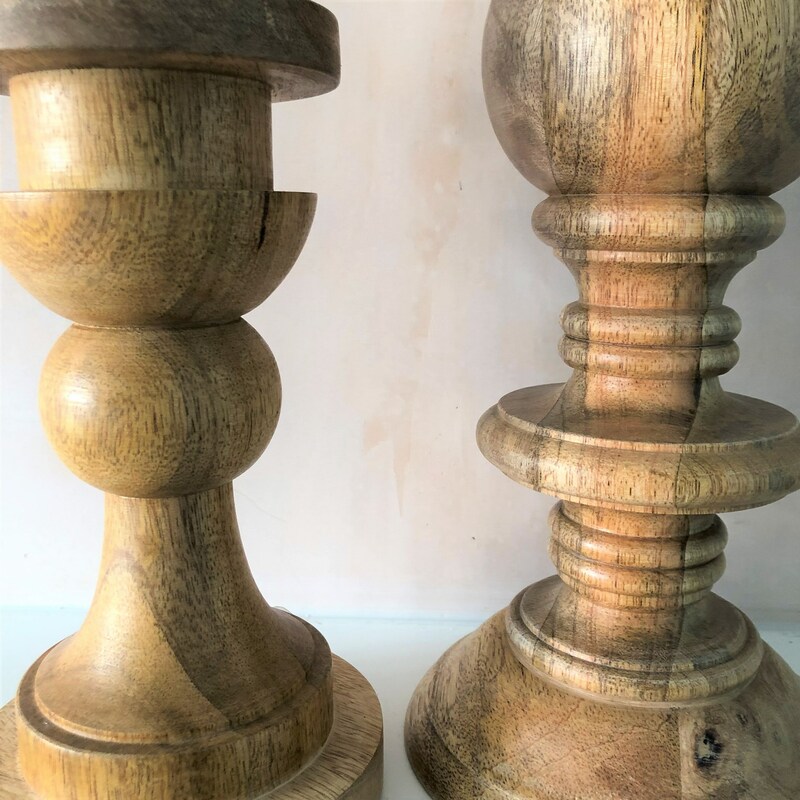 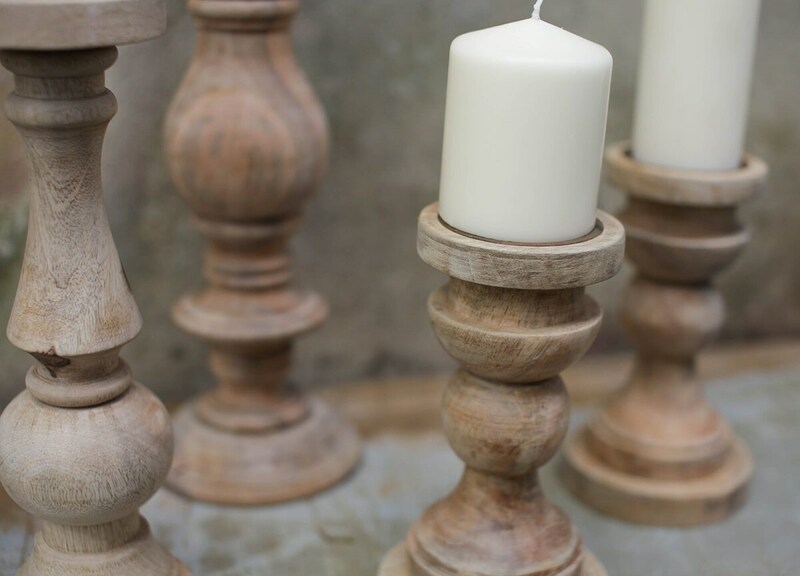 Available in two sizes, these handmade candelabra are real show-stoppers, whether lighting your dining table, mantelpiece, entrance or fireplace. 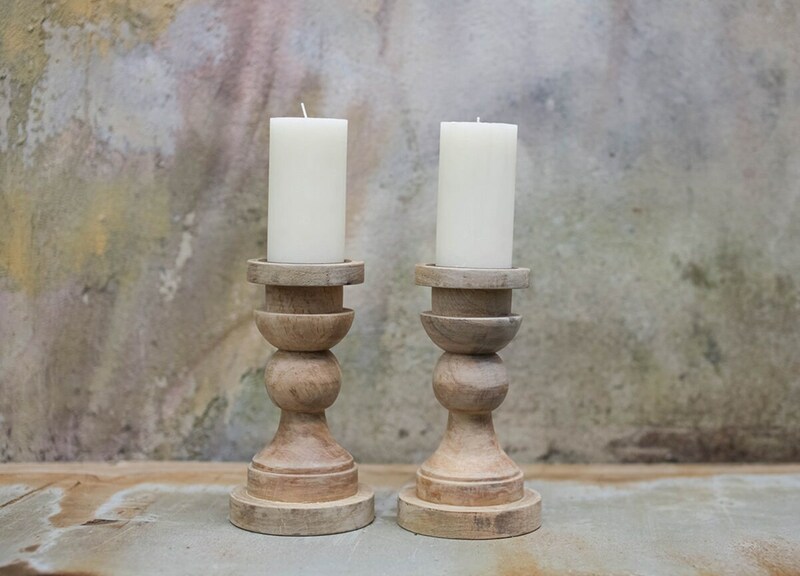 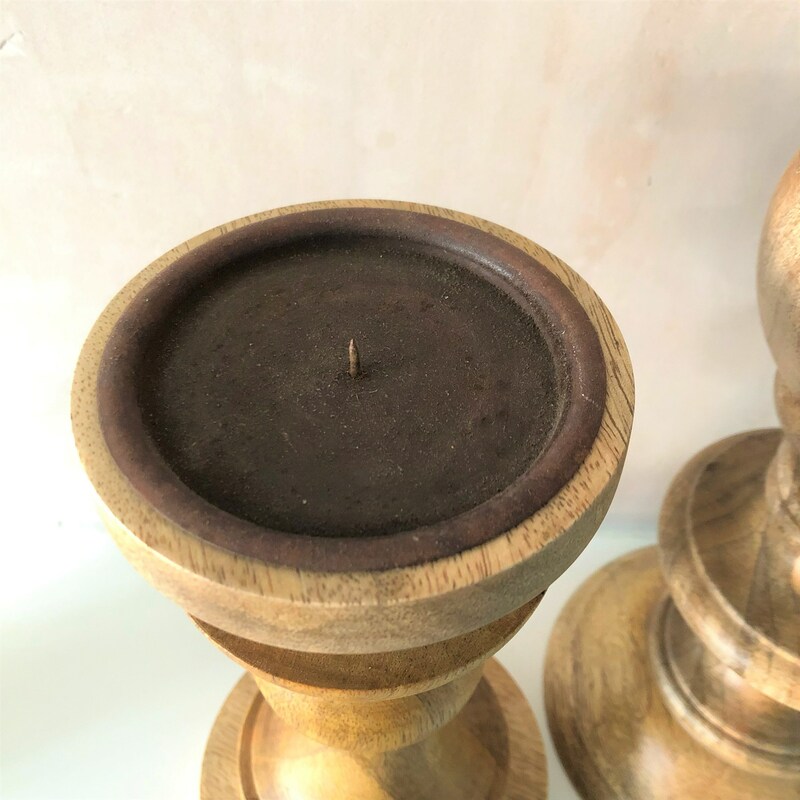 Made from mango wood, each takes a single pillar candle and has a wonderful natural grain. 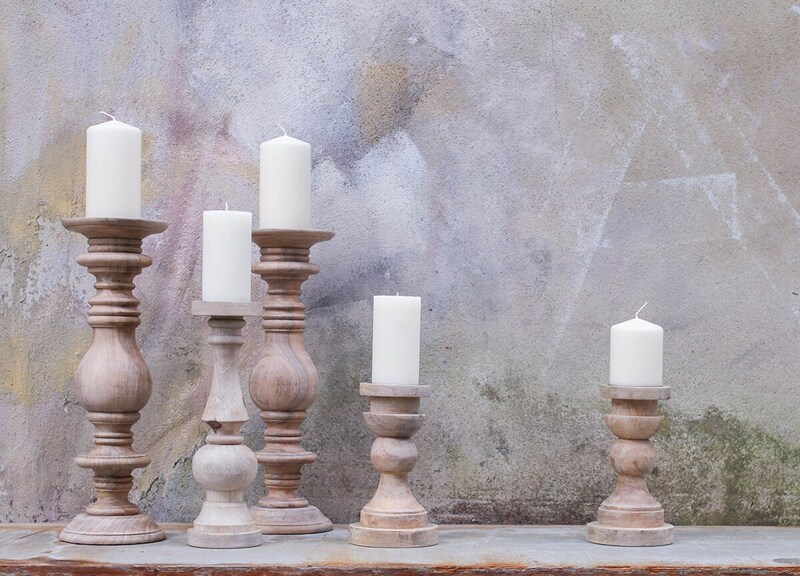 These candelbra are a beautiful centrepiece - mix with tealights and flowers for maximum impact.